You can never trust the Chinese. I am allowed to say that since I am Chinese. The Chinese are all about money and THE CHINA HUSTLE, a doc about crooked Chinese emphasizes the point. The Chinese have been exposed to many unethical money tactics. The last time major information like this was dispersed was the doc where the target was Chinese companies operating under international names like Nokia. In that documentary, the Chinese workers from the farms were shown abused. They would work long hours staying at the company’s quarters at minimum pay under unbelievably bad conditions, while not allowed to visit home till after two years working in the company. The companies would have 3 sets of accounting, one for the international owners, one for the Chinese government and the other, the real one for themselves. Every factory has to so the same in order to survive. That said, THE CHINA HUSTLE reveals more crooked practices. Produced by Alex Gibney who directed ENRON: THE SMARTEST GUYS IN THE ROOM about the last 2008 stock market crash, THE CHINA HUSTLE could be considered a sequel as well as warning to all stock traders. 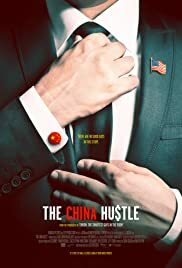 As in his previous film, THE CHINA HUSTLE is an unsettling and eye-opening Wall Street horror story, though this time the target being the Chinese companies listed on the American stock market. 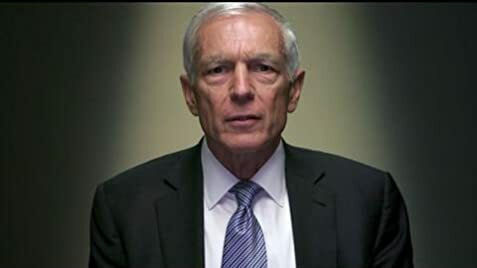 The film opens with the main subject, whistleblower Dan David confessing: “There are no good guys in this story, including me.” After the 2008 stock market crash, David — like almost everyone else in finance — was looking for ways to make big gains quickly. China became an appealing target. Hundreds of Chinese companies entered the US stock market through reverse takeovers with American companies. They boasted tremendous growth, had little oversight, and created a stock-market feeding frenzy. It seemed too good to be true and it was. The film follows the same pattern as EVRON, interviewing the whistleblowers, with the subject of fraudulence revealed and angering the audience to boiling point. Again, he has on camera, the poor unsuspecting investors, usually the retirees who have lost all if not a fair portion of their hard earned savings. The camera follows the filmmakers to China where there are huge but empty factories. The lights are on at night and the only employees would be the security people at the gate preventing outsides from entering. The factories make nothing but money invested on paper that will increase in value, hopefully. Smart (and manipulative) stock people, would expose these companies forcing their stock price to drop, but not before selling short so that they benefit from the fall in stock price. THE CHINA HUSTLE might not be as interesting to those who do not dabble in the stock market, but it is still general knowledge that is needs to be known. The film is not as tight or strong as ENRON, bout it is till an engaging informative documentary. All investors should put this doc down as a must-see!